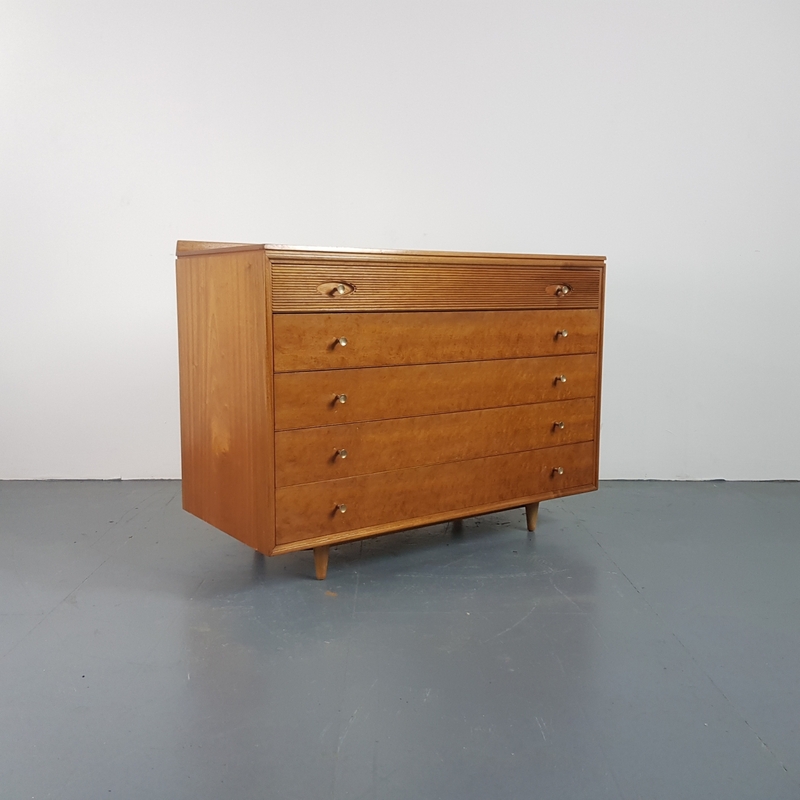 Lovely midcentury chest of drawers made from teak, designed by Robert Heritage for Archie Shine. With signature reeded drawer fronts. 94 x 35 x 10cm (rest).